For centuries, the duel played an integral role in the preservation of the aristocratic order in Europe, despite countless attempts by both church and state to ban the practice. The drama of the duel has been romanticized in countless works of literature, and it has been an enduring fixture in films and theater reflecting the period. But how did the duel come to prominence in the first place as the form by which men staked their honor? And how did it develop its allure as a cultural and artistic device? Renowned historian Victor Kiernan explores these questions and more in The Duel in European History. With wit and insight, Kiernan provides an entertaining history of the evolution of the ritual of the duel, beginning with its medieval origins—when it was regarded as a badge of rank—and following the practice up to the early twentieth century, by which time it had come to be seen as an irrational anachronism. Kiernan argues persuasively that the idea of the duel was unique to Europe and its colonies, and, in its contribution to the development of the officers corps, played a key part in shaping European military power. In doing so, he sheds new light on the ascendency of aristocratic classes and the role that their values played in European history. 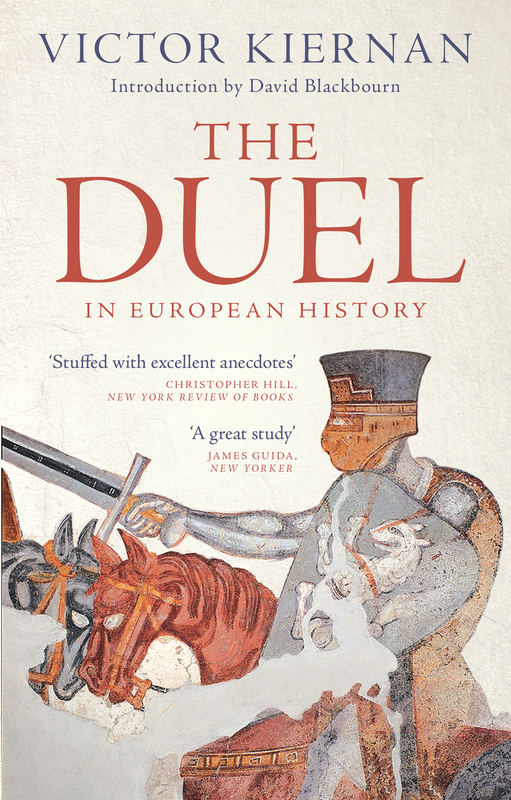 This edition adds new depth to Kiernan’s fascinating historical account, with an original introduction from esteemed historian David Blackbourn, further exploring how and why the duel continues to ignite curiosity and the imagination.